This entry was posted on 22nd August 2018 by Judith. 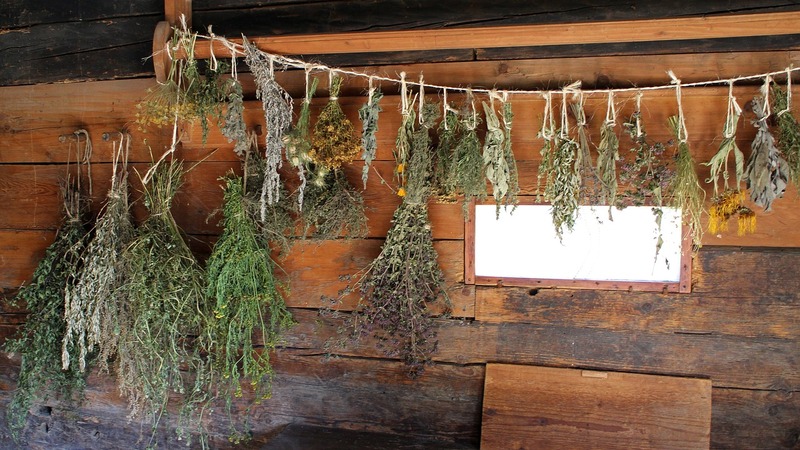 You can dry herbs to make your own herbal teas and to use in cooking throughout the year. It's a relatively simple process and a great way to use up any excess or underused herbs you have growing in the garden..
You can harvest herbs throughout the season, but the best taste is obtained from fresh growth. Herbs grown for their leaves should be harvested before they flower. After they flower, most herbs tend to lose their flavour or become bitter. You also want to pick the leaves when they are tender and contain the highest amount of oil, which supplies taste and fragrance. Harvest herbs in mid-morning before newly developed essential oils have been burned off by the sun, but after the dew has dried. Remove old, dead, diseased or wilted leaves. Use a sharp knife, leaving enough foliage to keep the plants growing. In other words, don't cut back farther than the second set of leaves. Make cuts at 45-degree angles, cutting close to a fork in the plant if possible. This will encourage the plant to bush out. Many flowering herbs, like lavender, borage and chamomile, should be harvested before they are fully open. 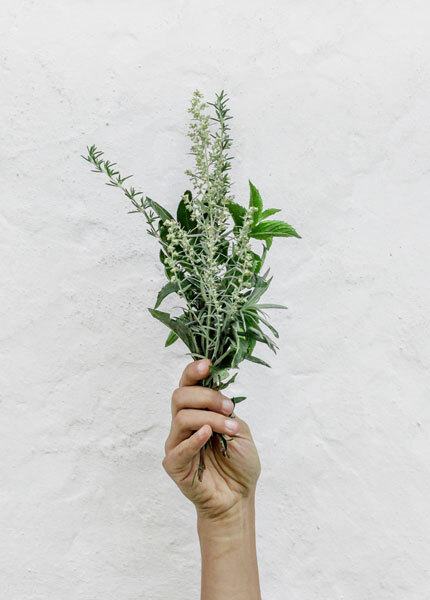 To harvest herbs for their flowers — such as chamomile flowers or thyme spikes — snip flower buds off the plants close to the first day the buds open. Harvest herbs grown for their seeds, like dill, fennel, coriander and caraway, as the seed pods begin changing colour. Keep harvesting annual herbs right up until frost. Perennial herbs should not be cut past August. Harvesting perennials after this date (or one month before the first frost) may stimulate new growth that will not harden-off before the cold of winter. When herbs are dried, they are safe from bacteria, mould and yeast, and will remain potent for at least six to 12 months. To remove moisture, all you need is air circulation. Some warmth can also help. Do not wash the leaves or aromatic oils will be lost. Tie stems in bundles and hang the herbs upside down. Ties will have to be checked as the stems will shrink as they dry. A warm, dry spot is best but avoid the kitchen as there is too much steam and competing aromas to be successful. Cover the bundle with a brown bag or muslin to keep dust and insects off the drying herbs and also to collect leaves as they fall. This method is particularly good for sage and thyme. A drying screen helps dry leaves, flowers or sprigs. Make your own from an old picture frame with muslin/cheese cloth tacked to it. Place herbs on the cloth – again in a warm dry place with plenty of air circulation. Herbs can take a few hours to several days to dry fully. A dehydrator is a good choice if you have a lot of herbs to dry and not much hanging space for them. It can also be used for drying other garden produce like tomatoes or apples. When you herbs are finished drying they can be stored in airtight glass jars. Always label jars immediately with the date and contents. Check jars regularly for mould and dispose of them if you spot any. Store in a cool, dark, dry place away from strong odours. Most dried herbs will keep for up to a year although you should discard as soon as the product has lost its flavour. When using dried herbs in recipes that call for fresh, keep in mind that oils in dried herbs are more concentrated. 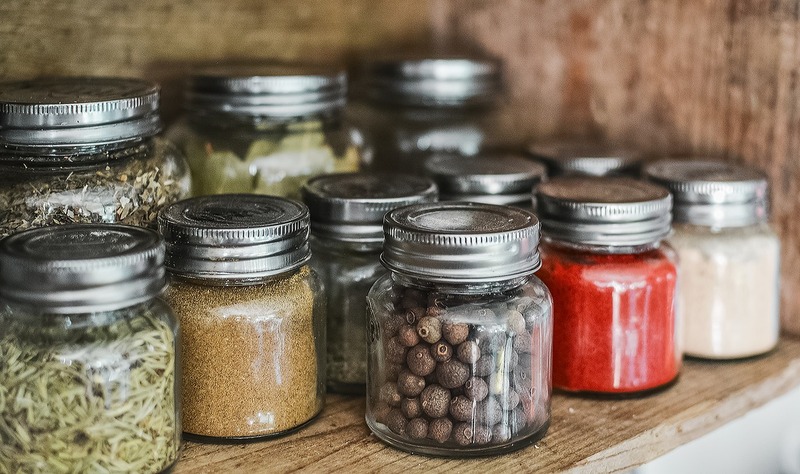 Use about half the amount of dried herbs in a recipe calling for fresh herbs, and about a quarter as much if the dried herb has been finely ground. Making herbal tea is a simple process, requiring little more than boiling water, dried or fresh herbs, and honey, sugar, and lemon depending on taste. Use one tablespoon of fresh herbs or one teaspoon of dried herbs for each cup of water. Try different combinations of herbs to find a blend you like. Place leaves in a tea ball or in your tea pot, pour in boiling water, cover the pot, and allow it to steep. Strain and serve. You will need to experiment with how long tea needs to steep before drinking although for most blends, three to ten minutes is sufficient. The longer the tea brews, the stronger it will be. 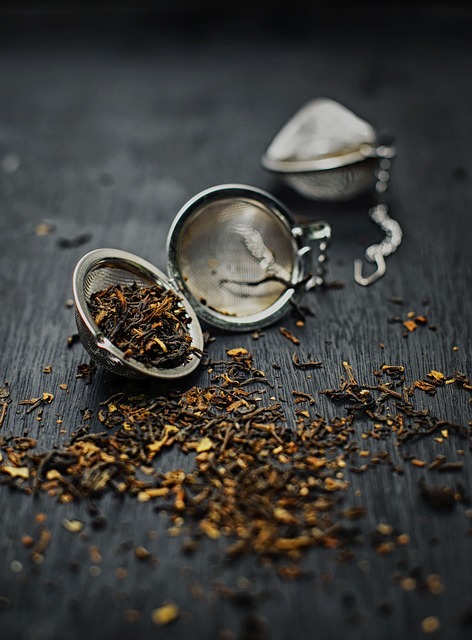 One exception is mint, including catnip, which should be steeped for no more than eight to ten minutes as the tannins in the plants will give the tea a bitter taste if brewed for longer than that. Mint tea is cooling and refreshing; it helps improve digestion and reduces gas and associated heartburn. Grow in a large pot or else it will take over your garden! This herbaceous perennial is closely related to mint, and similar in appearance. Has a lovely lemony scent. Lemon balm tea has a calming effect on the nerves and is useful in relieving anxiety and restlessness. The flower buds are used to make the herbal tea. Collect the flower stalks when some of the buds start to open and then dry them in the shade. Makes a calming and relaxing tea. Whenever you are disturbed or unable to sleep, a cup of chamomile tea can is a great idea. The white flowers with prominent yellow centres are used for making the tea. When they are used fresh, you need a handful of flowers to make the tea, but only a tablespoon of dried flowers are required otherwise. Thyme is a mint family member, but the volatile agent thymol is responsible for its distinctive smell. Thymol is a common ingredient in toothpaste and mouthwashes because it suppresses bacterial growth and bad breath. Thyme tea is excellent for stomach problems, especially indigestion. Thymol also has powerful antimicrobial property against a wide variety of pathogens and can be used to treat laryngitis, bronchitis, and other respiratory tract infections. Thyme tea mixed with raw honey gives quick relief from coughs and colds. Use it as a throat gargle to cure strep throat and tonsillitis. This herb works much the same way as thyme. Use sage tea to treat a sore throat, cough, rheumatism and heavy menstrual flow. It is a liver and kidney tonic. Borage tea is made from the leaves and is said to be good for stress. Has a lovely fresh taste. The flowers can also be frozen in ice cubes and used in cocktails or dried to make cake decorations. Makes a deliciously sweet, aromatic and soothing tea. Very good for digestive issues.